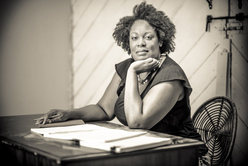 On Tuesday, September 25th, Jacqueline E. Lawton will join playwrights Bari Biern and Stephen Spotswood in a panel discussion about the Life of a Playwright as part of Round House Theatre's Heyday Players fall master class series. The Heyday Players is a senior theatre program dedicated to enriching the lives of senior citizens by channeling their tremendous spirit, talent, and life experience into theatrical performance and master classes. Composed entirely of older adults, participates are involved in the selection, direction, rehearsal, and staged-reading performance of theatrical work at a variety of seniors groups and community centers in Montgomery County and the metro DC area. Heyday Players troupe takes part in master classes in the fall that continue to develop their performance skills. In January, they begin rehearsals and they will perform primarily in May of 2013. This year’s performance will be themed on Campfire Stories. 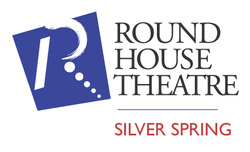 To join the Heyday Players troupe, or book a performance at your location, contact the Education Center at 301.585.1225 or e-mail education@roundhousetheatre.org.